We are excited to start offering a specific giving focus for each month here at the Converse Hope Center. Our goal is to give an opportunity for the community to give back and be involved, while keeping the donations focused, and specific to the needs of survivors. 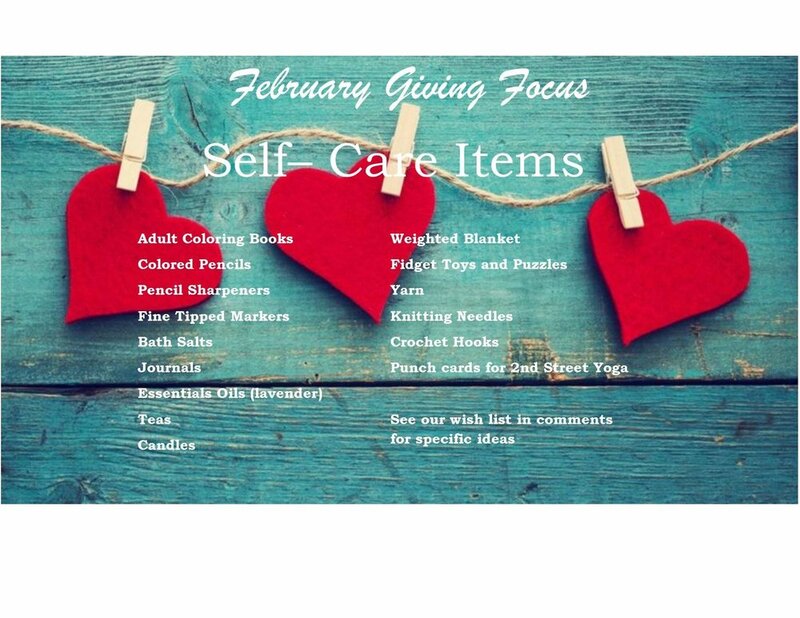 This month's Giving Focus is Self-Care. Many of those who come to us have been beat down physically, emotionally and mentally. They have not been allowed to take care of themselves for so long that they have to retrain themselves to do it. Here are some practical things that can really help our survivors learn to prioritize their mental health and can help ease anxiety. Donations can be dropped off at either CHC location, 126 N. 5th St. in Douglas or 506 W. Birch St. Suite 10 in Glenrock.